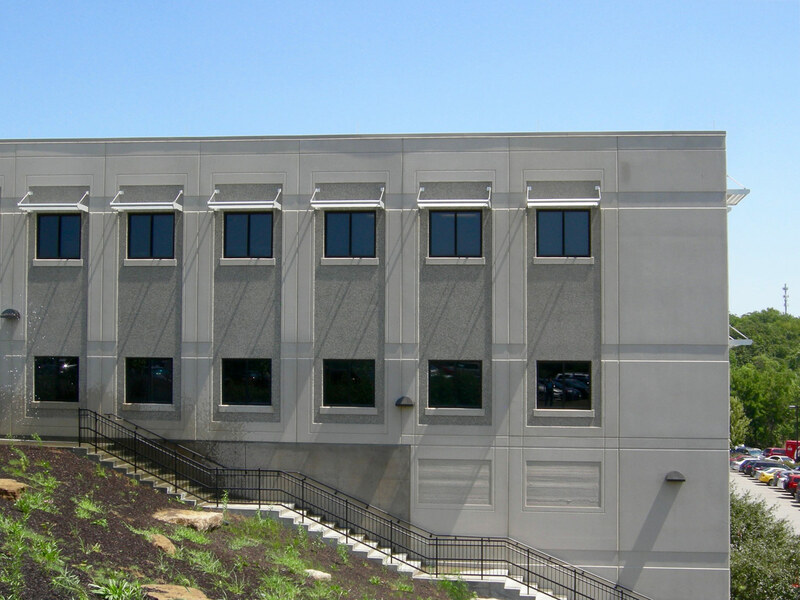 Though this new building will house many of our administrative and support staff, it is really all about our students. 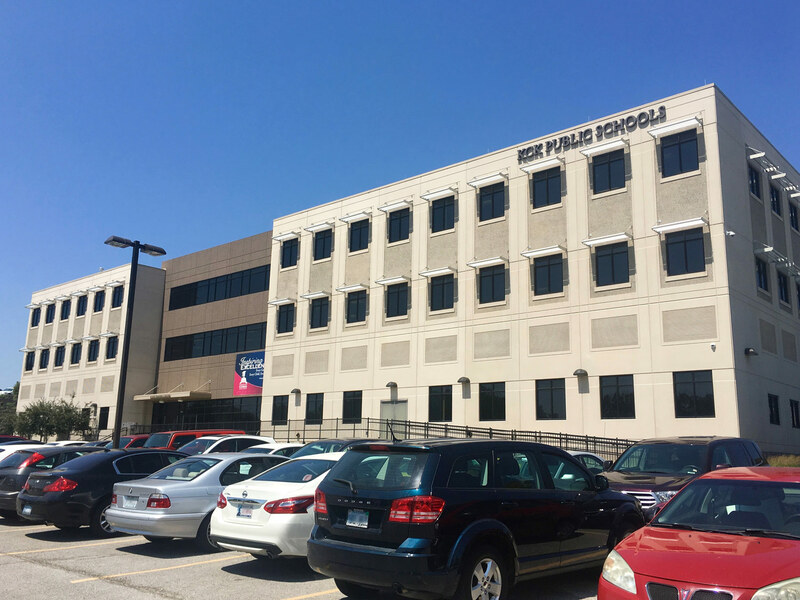 It is a place where we can come together as a team to work in support of our students, and a place where we welcome students and community members. 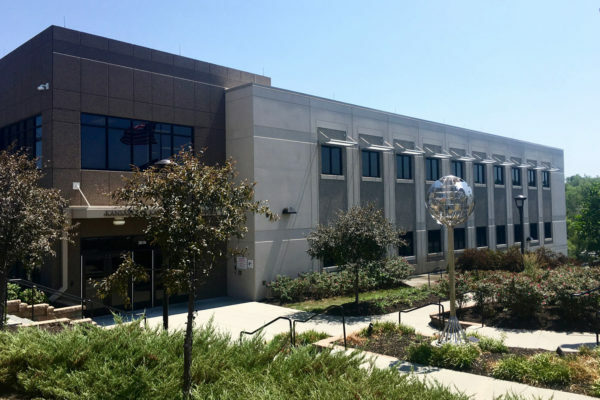 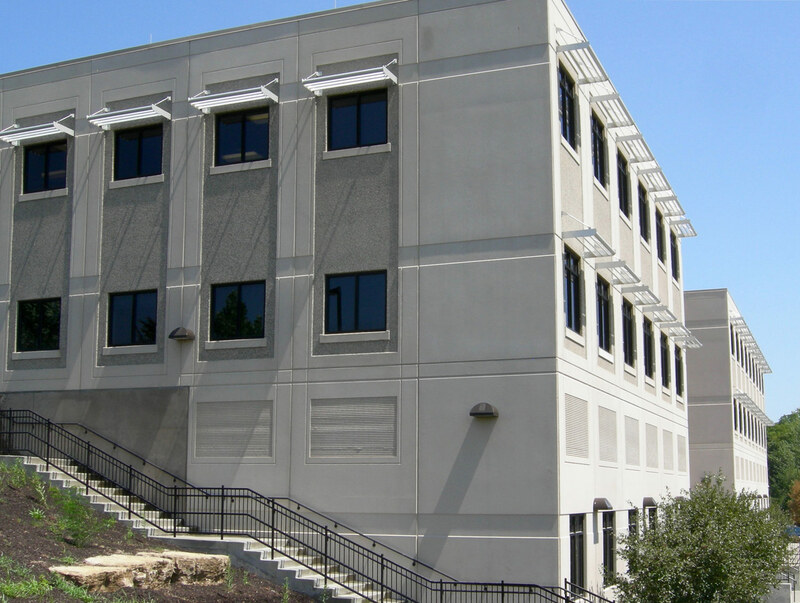 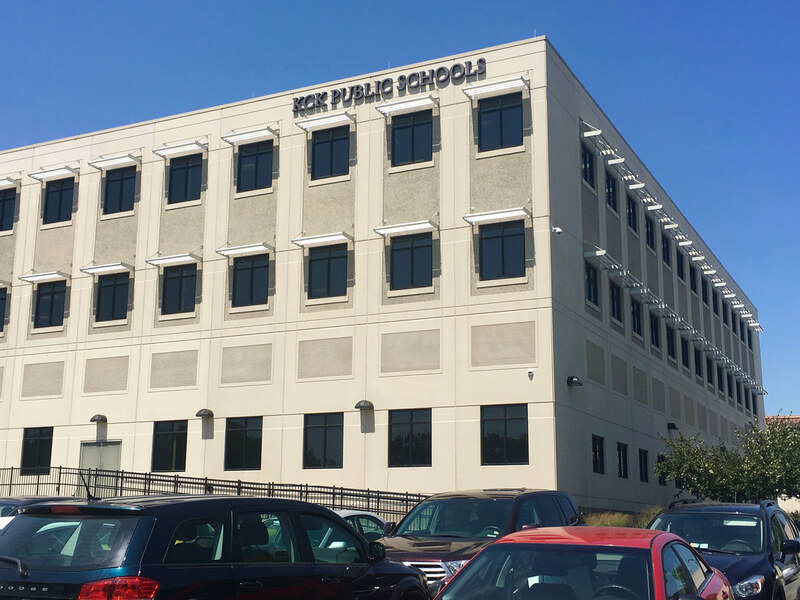 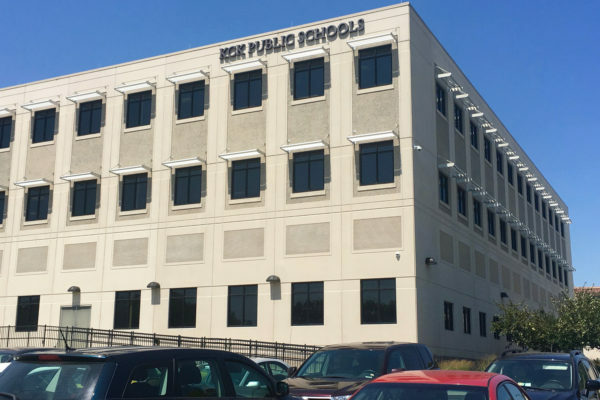 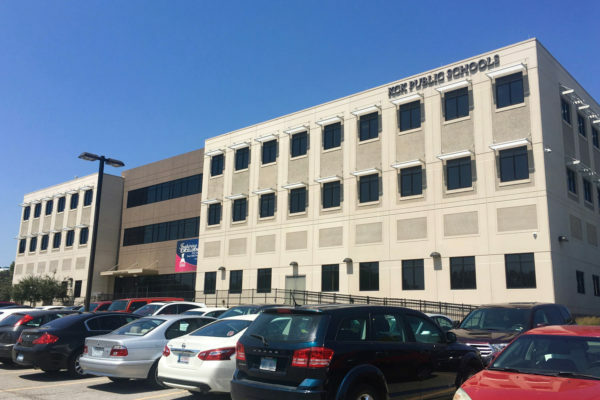 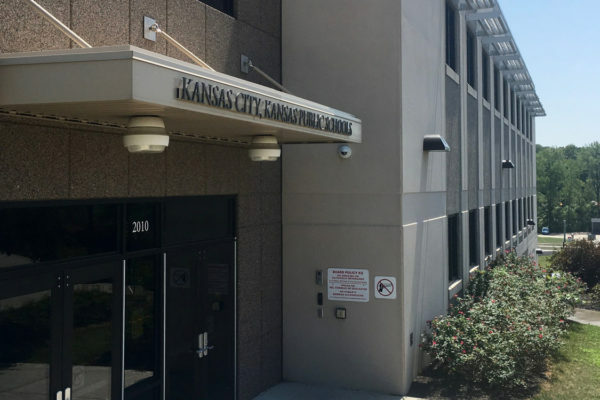 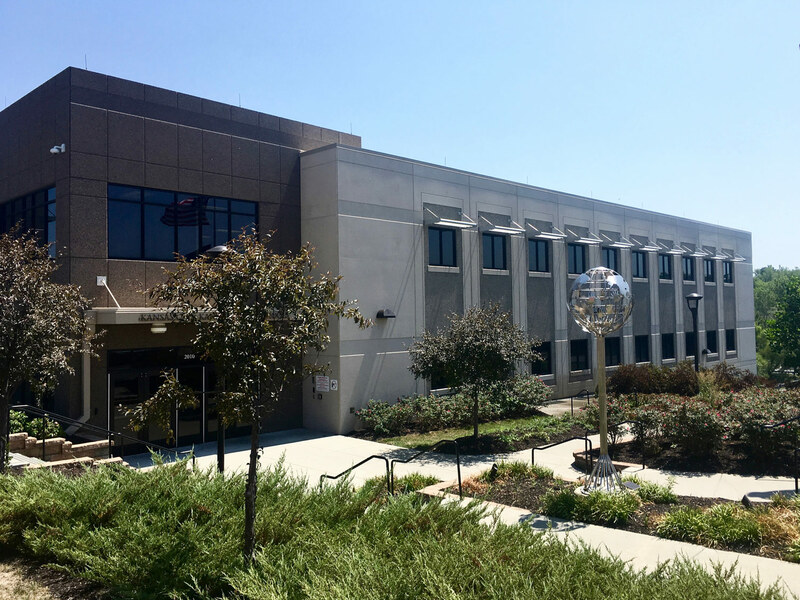 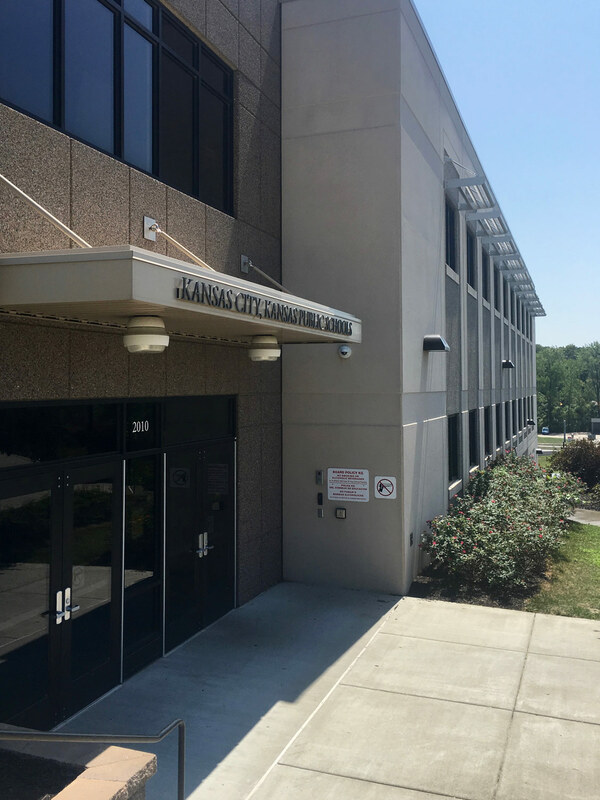 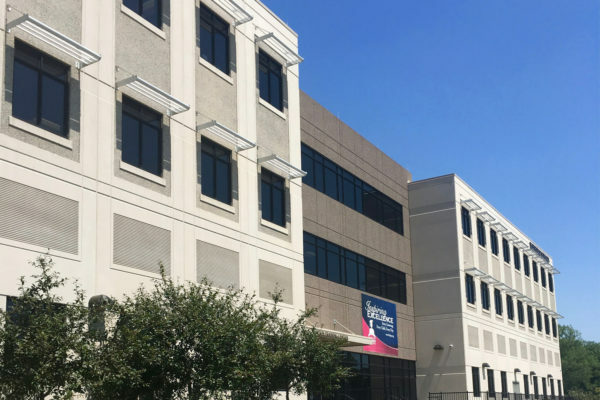 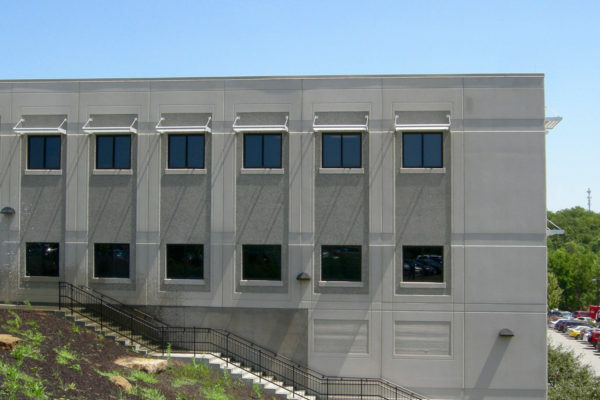 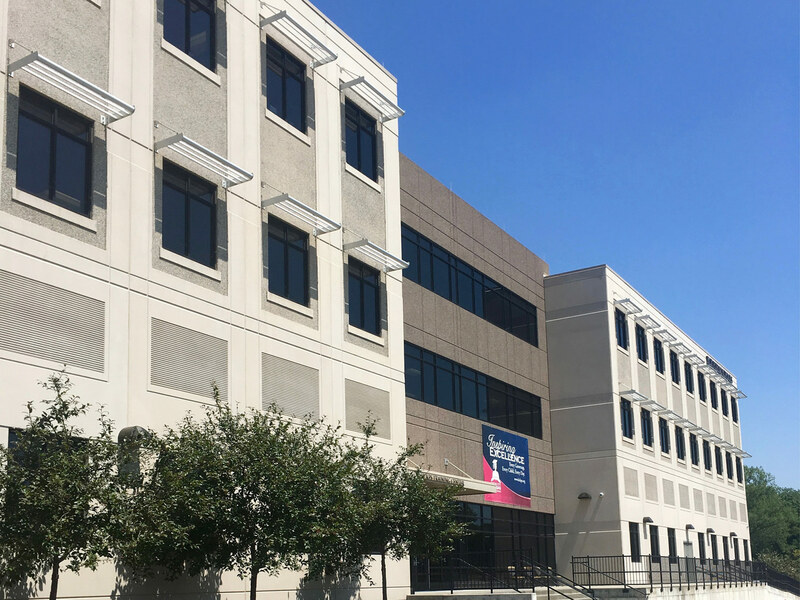 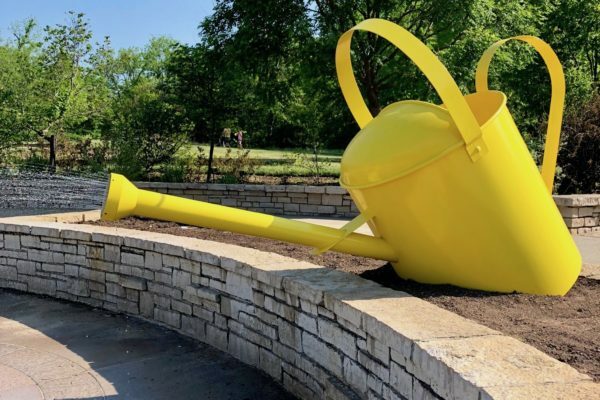 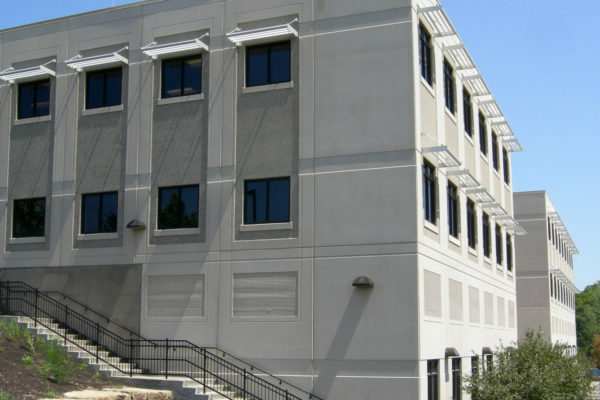 This project is a three-story building, part of the consolidation of two KCKPS offices: the Central Office at 625 Minnesota Avenue, and the Education Center at Indian Springs. 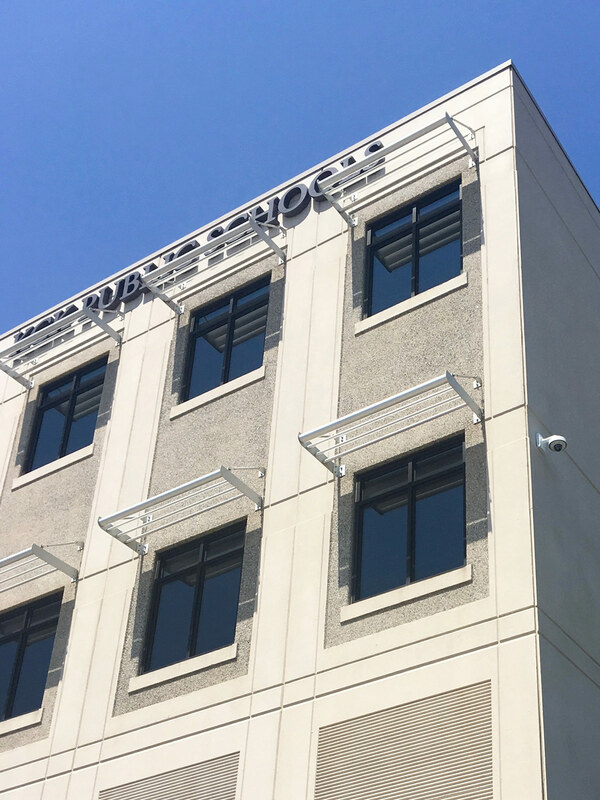 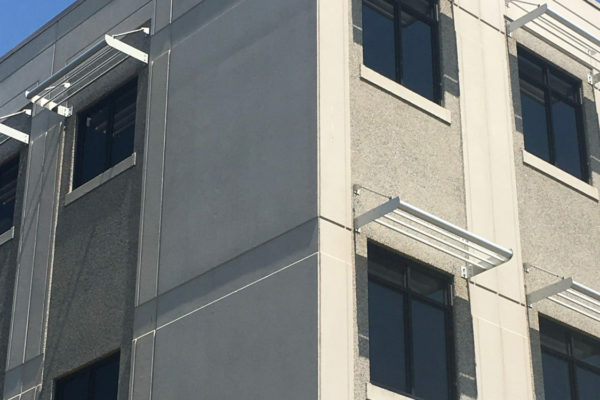 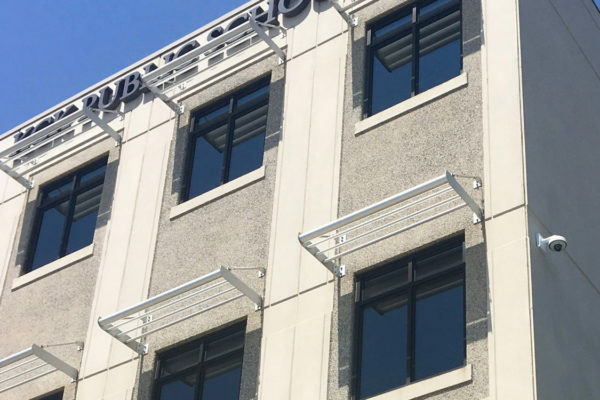 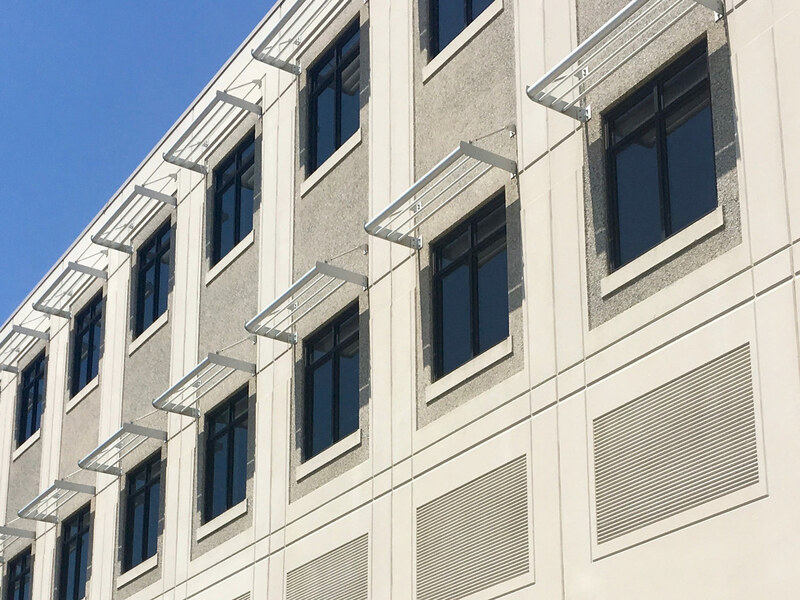 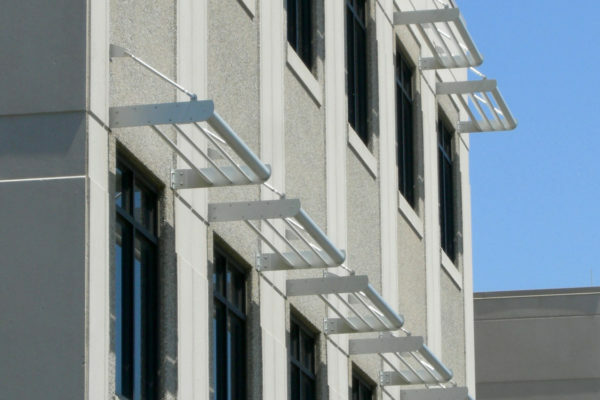 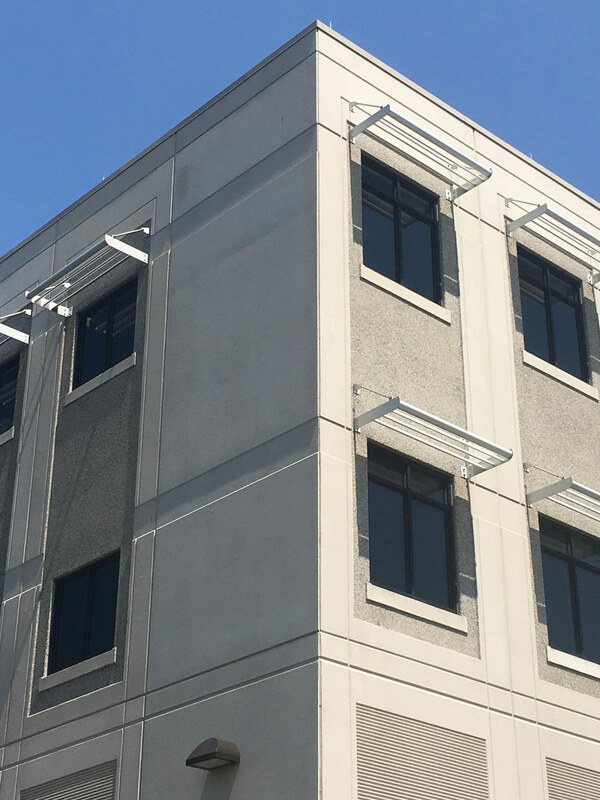 SSM provided engineering and fabrication as required for the installation of these anodized aluminum sunshades, some 84 units, mounted above office windows at the 2nd and 3rd floor levels. 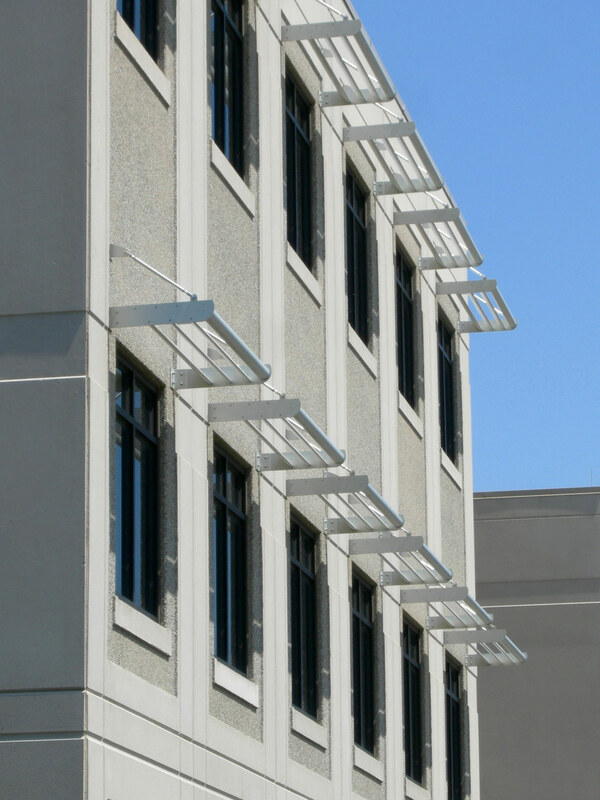 In the photos below, note the shadows cast upon the windows by the shades. 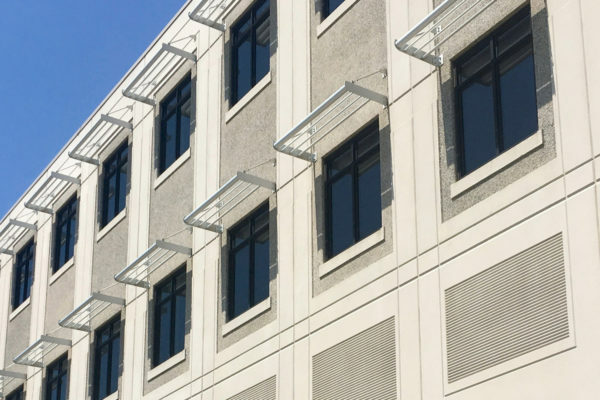 This illustrates the effectiveness of the design in keeping the harsh summer sun out of the building and reducing the heat gain. 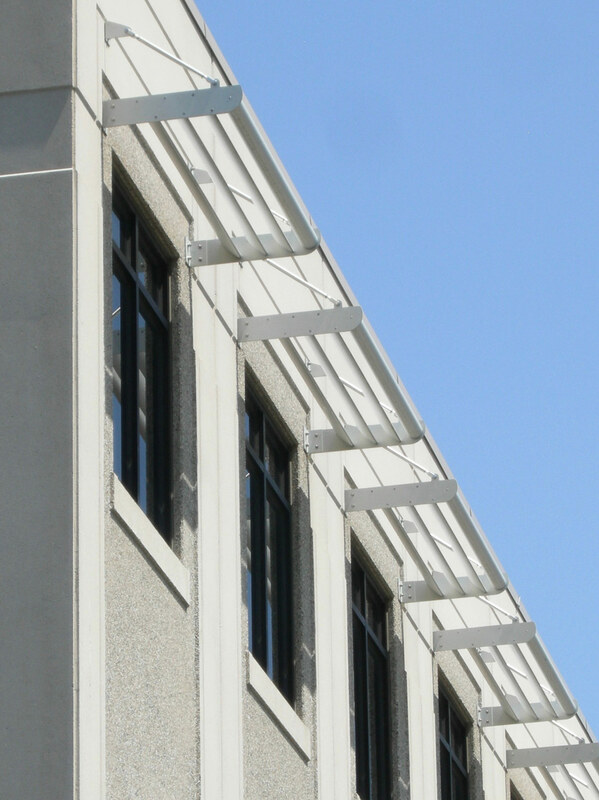 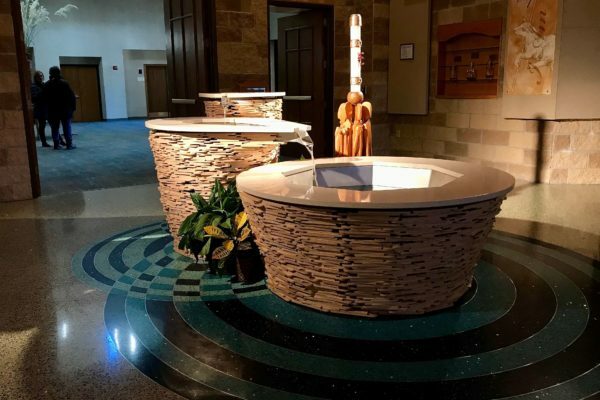 These custom elements were fabricated from 3/16″ thick anodized aluminum plate and utilized aluminum airfoil extrusions. 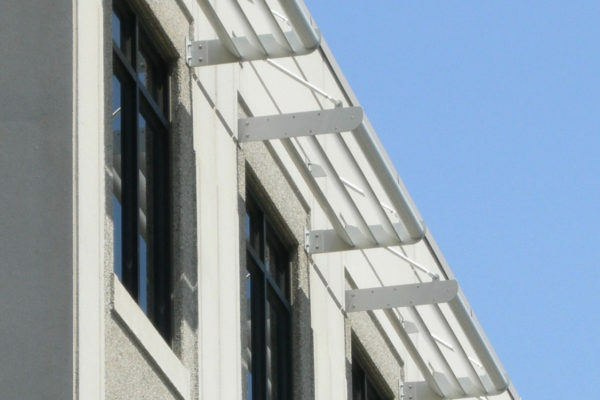 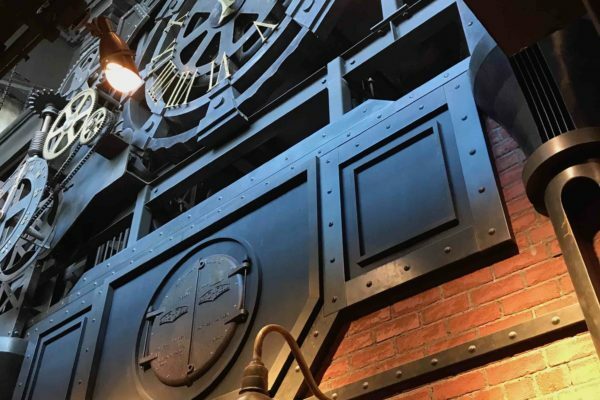 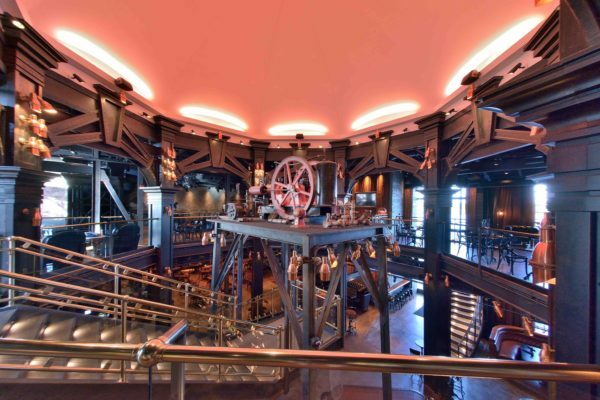 By having exposed fasteners and tie back rods, the design added a level of detail and texture while keeping costs down.